SCD Health, Faith, Beauty and Everything Else in Between. I know. I know. There was no day 7 post, there’s nothing to do about it right now, so we are moving forward . 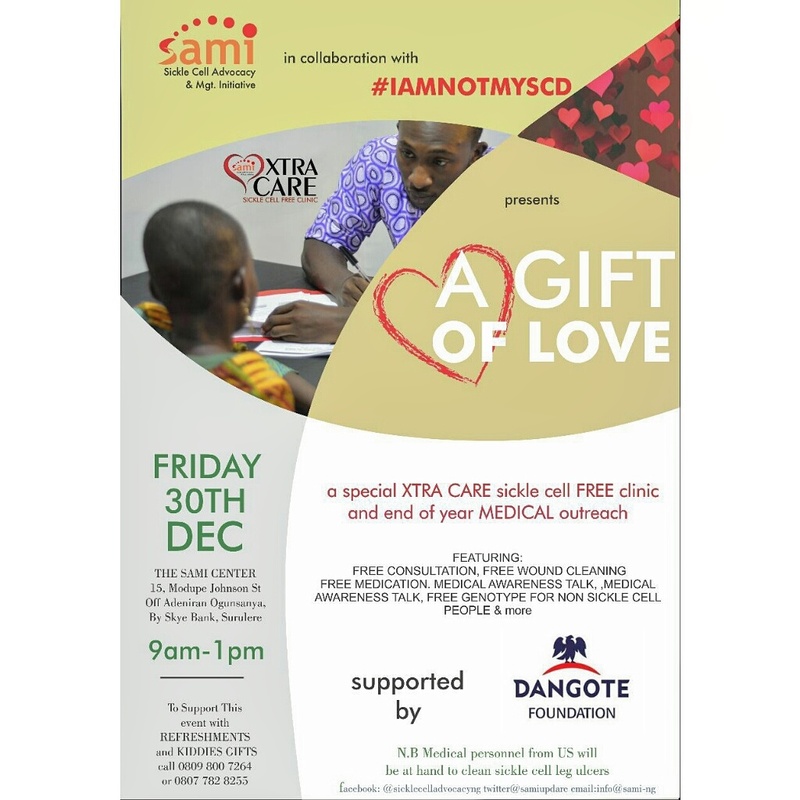 Today I want to share a special news, I am hosting a medical outreach in the form of a clinic in collaboration with the Sickle cell Advocacy Management Initiative (SAMI). On the 30th of this month, we will be providing free consult/health screening, wound clinic, and handing out medications. If you or someone you know may benefit from this act of love and service, come check it out. If you ate interested in helping in form of donation, we’re taking medications and wound dressing supplies such as B complex, Ibuprofen, Paludrine, Folic Acid, Normal saline, kling wraps, santyl ointment, gauze,blood pressure machines and O2 sat, thermometers, etc. Contact us: @iamnotmyscd and @sicklecelladvocacyinitiative on IG, or call 08098007264 for more details. I look forward to it and please help us pass the word around, you never know who you’re helping.